Don't forget to share what they say. Unibet are one of the biggest online bookmakers serving Europe. They’ve got a bunch of customers from Scandinavia and central Europe. If you want to join Unibet then as a new customer you can get a £20 risk free bet bonus when you sign up. I think it's good and safe bookmaker. odds I’ve came across. Highly recommend it! I don't think so, pinnacle and unibet have better odds. Hello fieriends, I sent my documents to unibet to receive a payment and they told me it would take 3 days. After 4 days i went to chat and they told it would take 6 weeks. They say they are investigating my account. I dont understand how 3 days are now 6 weeks. Can someone please help me? Hello guess, my advice is unless you need the money desperately soon,just keep copies of the emails and be patient.If they don't resolve things after,say,a couple of months,they will have to provide a good reason - otherwise their broken promises will make them look really bad. How good is unibet in comparison to bet365 and paddy power? For me it is weaker. Bet365 is the best in my opinion, also betfair might be of interest to you if you manage to learn how to back and lay. Its very different than normal bookmaker. Place pre-match and live bets and qualify for one of 10 places in our €15,000 Live Betting Championship at the Unibet Open in London on Sunday 5th March. In addition, we’re giving away £100 Free Bets to all players that finish in the top 100 of the online leaderboard. Get into eSports! PGL 2017 Stream & Betting Offers at Unibet. This Sunday the most anticipated Counterstrike event of the year will kick off. The world’s best CS:GO teams will be facing each other at the PGL 2017 in Krakow, from 16th to 23rd July. Unibet will have live streaming available on site for the entire event. This will be our first streamed eSports event in Unibet history: 40 matches, more than 80 hours of content, on-site studio and live commentary. Our stream is 30 seconds faster than the regular Twitch streams and will be available in the UK, AUS, Nordics, Benelux, Poland, Romania, Estonia and Hungary. 3. £5,000 betting championship for eSports bettors only! During the tournament, all eSports bets can collect you points for our dedicated eSports Betting Tournament. Unibet will be dividing £5,000 among its eSports bettors. The more winning bets you place, the further you’ll climb the leaderboard! Double points on mobile. (promotion not available in Australia). Chelsea stormed to the title last May with a Premier League record of 30 wins in a single season. This year we’re giving you the chance to get more than just silverware, with a free bet, every time your team wins a game in the league. If Chelsea match last season’s performance, that’s €60 worth of free bets! *Or Currency Equivalent refers to a Unibet currency calculation, not the current exchange rate. For example, €50 is £35, 50 USD, 70 CAD 450 NOK, 450 SEK. Black Friday Profit Boosts With Unibet! With Black Friday taking place today, Unibet wanted to give you something to get excited about, so they developed a special promotion for One Day Only: 20% Profit Boost on NBA winnings! You can get sporting weekend off to a great start with an offer that boosts your NBA winnings by a huge 20%, and the best part is that you can watch all the games live on Unibet TV! It’s simple for you to claim boost as well – just select an NBA bet and the boost will appear on the bet slip ready to be used. There’s no need to opt-in: all they have to do is place a bet on a chosen game during the Black Friday Promotion. Unibet has detailed a new content series aimed at encouraging punters to make more informed bets at the upcoming this summer’s Russian World Cup. Launching this month, the 15-part video series titled #BetAndBreakfast features former football icons Didier Drogba and Djibril Cisse, who coach two celebrity teams as they compete head-to-head in a survival of the smartest. Dubbed a cross between Top Gear and An Idiot Abroad, novice punters, Andrew Henderson, Daniel Gonthier, Sean Garnier and Anouk Hoogenkijk take on a challenge to visit six European cities, placing bets on high profile local games as they go. The quality of travel, accommodation and food as they go on the road to Rome, Stockholm, Barcelona, Lisbon, Copenhagen and Moscow will all hinge on how successful the punters are. With their winnings and losses documented along the way, Antonio Cabrini, Eidur Gudjohnsen and Ricardo Carvalho are some of the experts that will be imparting their expertise to the teams and viewers during the series. The mini-episodes will be distributed in nine markets, including Sweden, Denmark, France, Italy, Finland, Romania, Belgium and Australia and hosted across Unibet’s global social media platforms in the build-up and throughout the World Cup, including YouTube, Facebook, Instagram and Twitter. The campaign, produced by DDB Nord will be hosted on the Unibet website and media buying will be managed in-house. Seeking to deliver ‘optimal control’ for its customers during World Cup 2018, Unibet (Kindred Group Plc) has launched a new version of its sportsbook client. The European bookmaker, details that its sportsbook overhaul has been developed to deliver the best engagement and customer experience with Russia 2018 betting markets. Optimising the Unibet sportsbook client, Kindred development teams have focused on simplifying user navigation, delivering faster product uploads and deepening engagement between users and Unibet’s Russia 2018’s betting inventory. “It’s a great milestone for the group and the first of many deliveries on our long-term strategy of taking more ownership of the end-user experience and exploiting the Kambi empowerment tools. This will put us in a position where we can utilise our internal capabilities even further, improving the personalisation, localisation as well as making use of all the content, stats and data we are in possession of.”. Unibet will support its World Cup 2018 drive, by launching its World Cup jackpot promotion. in which each Russia 2018 match will have its own unique jackpot and in total Unibet guarantees £1,000,000 to be won during the tournament, with a final jackpot of at least £150,000. “I’m very excited over the World Cup lobby, which we will roll out on all football leagues across all our markets for the start of the new European season. It has a perfect mix of odds and content, completed with a fresh and innovative design. I ́m confident that the lobby together with our brand-new World Cup Jackpot concept will be extremely well received by our customers.” Reimblad added. 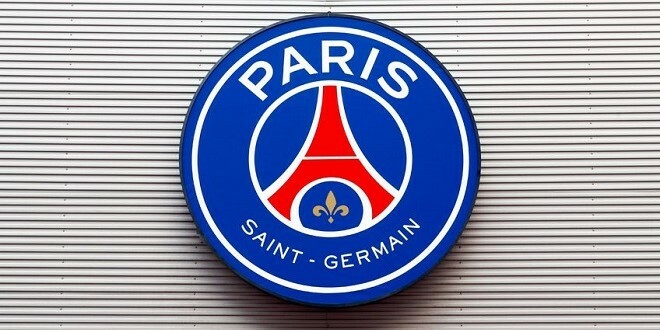 Unibet is to combine its “market leading digital experience” with that of Paris Saint-Germain’s (PSG) “rich footballing heritage,” as part of a new relationship which sees the online betting brand become the French club’s official betting partner. The two year deal with PSG, the seven time French Ligue 1 champions, is designed to “create an unrivalled strategic partnership”. Marc Armstrong, Paris Saint-Germain’s Sponsoring Director, said: “We are delighted to welcome Unibet to the Paris Saint-Germain family. We both share the same spirit of conquest, a passion for football and a strong desire to impose our brand in very competitive markets. As part of the partnership exposure will be provided to Unibet inside PSG’s Parc des Princes home on LED advertising boards, in addition to creating a host of “money can’t buy” experiences. Kindred’s online betting subsidiary and the reigning champions in France are to also “combine their digital expertise,” which is to also benefit customers of Unibet with the creation of exclusive content. Ahead of Sweden regulating its online betting market, Stockholm-listed Kindred Group Plc has announced its biggest sports sponsorship to date, confirming that its Unibet brand will become the title sponsor of the Allsvenskan and Superettan leagues, the top two tiers of Swedish professional football. 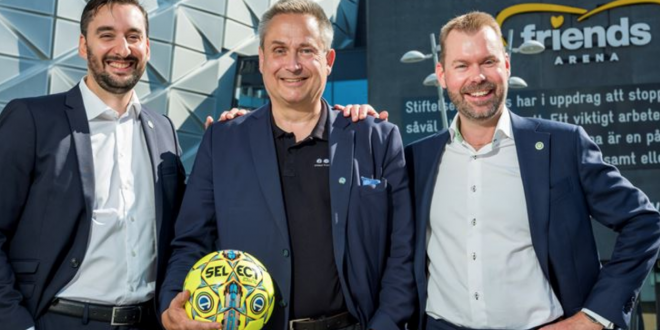 Agreeing to terms with Svensk Elitfotboll, the governing body of the Allsvenskan and Superettan leagues, Kindred governance secures a 12-year partnership valued at SEK 1.2 billion (+ €100 million). “The sponsorship agreement will run for six years with an option for an additional six years at a total value of up to SEK 1.8 billion – making it one of the biggest investments in Swedish sports ever”. Kindred details in its corporate update. “The new gaming license will finally make it possible for Swedish sports to gain market value for their partnerships, which is positive for the clubs, the associations and of course for the athletes. Our new agreement with Svensk Elitfotboll will, for instance, give the association substantially more income, compared to previous partnership deals”, Dersim Sylwan further detailed. Kindred Group’s European online betting subsidiary Unibet awaits a monumental Tuesday of trading as Sweden seeks to make the quarter finals of Russia 2018. Taking on Switzerland at the Saint Petersburg Stadium (Tuesday 3 July 16:00 CET), Unibet anticipates a record day of market trading as Sweden’s ‘BLA ågult’ seeks to continue its unexpected World Cup 2018 journey. 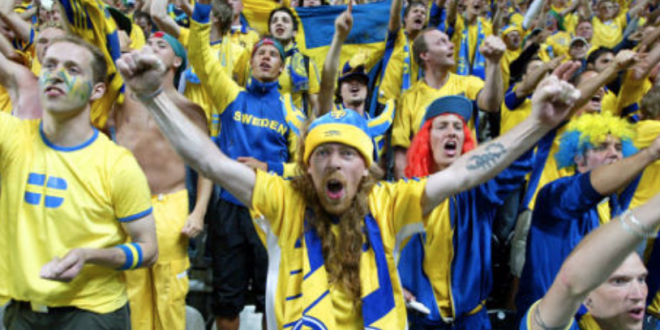 Having topped World Cup Group F, overcoming pre-tournament joint favourites Germany, the Swedish public are in a buoyant mood and backing Janne Andersson’s men. Detailing Russia 2018 market insights, Unibet is preparing for a colossal multi-million € revenue Sweden vs Switzerland. 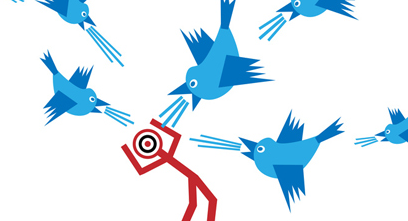 “This is the biggest event we have ever seen in terms of activity and new customers. Our target audience gets broader than usual in terms of demographics, while at the same time all our marketing communication is focused on only this event. Key will be to ensure that we can retain these customers and continue to offer them a world-class experience also after the world cup has ended. The Advertising Standards Authority (ASA) has ruled that a tweet from the account of horseracing trainer Nicky Henderson promoting one of his blogs on Unibet’s content site did not qualify as ‘editorial content’ and should have been marked as a sponsored marketing communication. The tweet, posted on 27 October, stated: “We’re underway with the jumps and my exclusive @unibet blog is now ready to read …”. A link to the blog was included. Unibet said that it didn’t believe that this breached the CAP code as it did not consider the tweet to be a marketing communication. It responded that the firm had a reciprocal arrangement with Henderson, who was its brand ambassador. That arrangement required Henderson to display Unibet branding, but did not require him to tweet on the firm’s behalf and that it did not have any editorial control over his Twitter account. However Unibet’s case was severely undermined by its actual contract with Henderson, which appears to be a generic ambassadorial one and not tailored for this particular partner. The contract stated that Unibet paid Henderson to be an ambassador for its brand and included a term that stated that one of Henderson’s obligations as brand ambassador was to allow Unibet to manage, with his assistance, his social media activity throughout the term of the agreement. The contract stated that Henderson was required to start a Twitter account that would be managed by Unibet on his behalf, though he would have the right to approve all tweets sent on that account. Unibet said these were generic contract terms and did not ‘reflect the reality’ of the partnership with Henderson as he already had an existing Twitter account before the deal was agreed. The ASA said it conducted two tests as to whether the tweet was a marketing communication or editorial content: if Unibet had an agreement with Henderson and if the operator had any degree of control over the content of the tweet. On the first point the ASA said thatUnibet and Henderson had entered into an agreement whereby the racehorse trainer acted as a brand ambassador for Unibet, involving a range of activities, including a requirement that he published a blog on social media, and that he periodically updated his social media accounts. The conclusion being that Henderson had been paid by Unibet to promote the brand, including on social media. On the second point, because Unibet required Henderson to post about his blog on social media the ASA concluded that the operator did have control over the content of tweets relating to the blog and therefore the tweet was a marketing communication and should have been obviously identifiable as such. 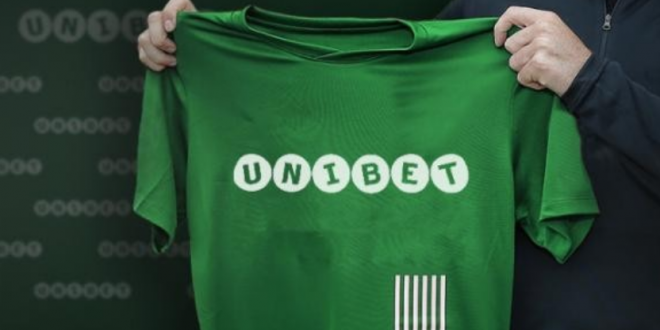 Unibet and Henderson have been told that they must ensure that their future marketing communications were obviously identifiable as such, for example by using an identifier such as “#ad”.